If the precise number of animals used in laboratory experiments and as models for medical testing could be tabulated, the yearly sum total worldwide would be staggering. Since there are no accurate records of where these animals are used or how many, any numbers given are considered by many experts to be poor estimates at best. Although the sacrifice of these furry creatures has not been without purpose, do you recoil at the mere thought of it? Do you consider this slaughter immoral? The scientific point of view is summed up in the following questions: Do you resent a system that advocates the killing of animals so that doctors may learn new techniques in performing operations on humans or preventing the spread of deadly diseases? Are you prepared to forgo new lifesaving drugs and medicine because you know that they were first tested on animals? Would you be willing, yes prefer, to have your live but brain-dead child or parent used in surgical experimentation rather than an animal? And finally, there is this: If tests on an animal could save you or a loved one from an excruciating disease or death, would you refuse it with the view that to sacrifice an animal to save a human is immoral? Most would say that the dilemma is not so easy to resolve. Nevertheless, during the past decades, there was a growing sentiment against the use of animals tests. Today that sentiment has been translated into a worldwide network of active organizations that continue to grow in strength and numbers. They are very vocal in demanding total abolition of the use of all animals for medical or laboratory experimentation. They argue that the use of animals tests is species-ism. Animal-rights activists are making their voices heard through street-corner demonstrations, political lobbying, magazines and newspapers, radio and television, and, most notably, militant and violent tactics. Some of these ‘aggressive networks’ are willing to use violence in support of their cause. During the last few years, at least some testing laboratories have been vandalized by animal-rights groups. Laboratories have been bombed. These raids have caused millions of dollars’ worth of damage. Important records and valuable data have been destroyed. Research animals have been stolen and released. In one such act, valuable research on infant blindness was destroyed. Expensive equipment valued in the hundreds of thousands of dollars has been smashed. In other places of research, doctors and scientists found blood poured on files and testing materials and liberationist slogans spray-painted on walls. (1) Those concerned with animal welfare who are not opposed to bio-medical research but want assurance that animals are treated as humanely as possible, that the number of animals used are the absolute minimum required, and that animals are used only when necessary. This group, according to recent surveys, makes up the less vocal majority. “Animals have fundamental inalienable rights,” said the co-director of one such group. “If an animal is capable of perceiving pain or feeling fear, then it has a right not to have those things inflicted upon it." Indeed that opposition to animal testing is fully justified at times. One of the more infamous cases involved the Head Injury Laboratory of a prestigious American university. Stolen videotapes taken during an animal-liberation raid revealed “monkeys" getting their heads slammed in a smacking machine, with researchers laughing at the spasmodic behavior of the brain-damaged creatures. This led to the withdrawal of government funding for the laboratory. Can there be an amicable solution? As in many controversies, there are two extremes, and then there is a middle way that tries to take the best and eliminate the worst of the effects. For example, are there any practical alternatives to experimentation with animals? Is total rejection of animal research the only viable, balanced answer? “Alternatives” is the key word. Scientists say that they may never get to the point of total elimination of animal testing, but where possible they are constantly looking for alternatives. For example, rabbits are no longer used to confirm human pregnancy, since chemical procedures is now available. Guinea pigs are no longer used to isolate the tubercle bacillus. Culture methods are now saving the lives of these animals who would otherwise die. Other tissue-culture procedures have replaced the testing on some mice. And many rabbits slated for the painful Draize test may be spared because of the alternative use of hen-egg membrane as a testing surface. Certainly, people sensitive to animal suffering hope that there will be many more alternatives found, and soon. However, much remains to be done to find more alternatives to address the problem effectively. 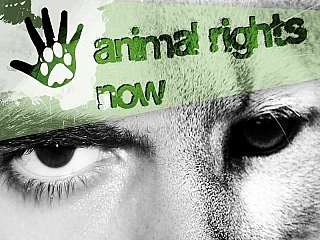 Animal testing is an emotion-charged issue, it will continue to incite much reaction from the public at large. It seems the debate will not disappear any time soon. How do you feel about the matter? Feel free to air your views.